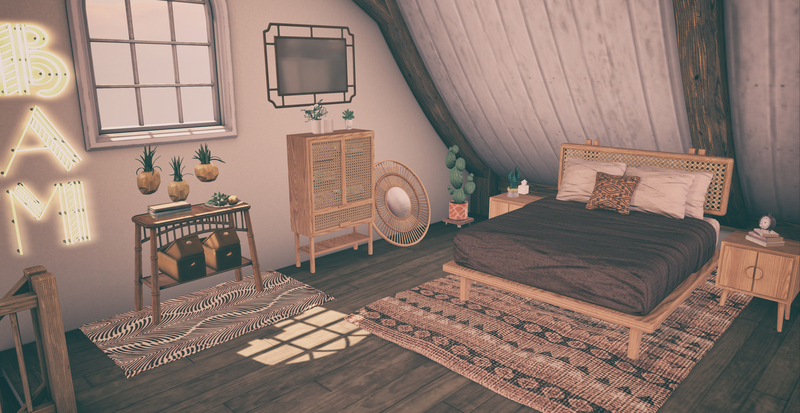 Today I am showing you two beautiful sets, the first is the gorgeous Malibu Entry set by unKindness, it’s at FaMESHed which ends in a couple of days so you need to be quick. I’ve had the pleasure of meeting and working with the owner of unKindness, Jamie Rozenberg recently and trust me she is such a lovely, kind, hardworking, supportive woman and a huge help with a project I am involved in and will reveal more about later. If you haven’t checked out her store yet, you really should 🙂 Taxi ride below. The other set I’m showing today is the beautiful Allegra Gacha Set by Granola which you can find at this round of PocketGacha. Both sets are beautiful additions to my ever growing decor collection. Hope you like. uK – Malibu Entry B.A.M.